A Short Introduction to Climate Change provides a clear, balanced and well-documented account of one of the most important issues of our time. It covers developments in climate science over the past 250 years, compares climates over geologic time and shows that recent climate change is more than the result of natural variability. It explains the difference between weather and climate by examining changes in temperature, rainfall, Arctic ice and ocean currents. It also considers the consequences of our use of fossil fuels and discusses some of the ways to reduce further global warming. 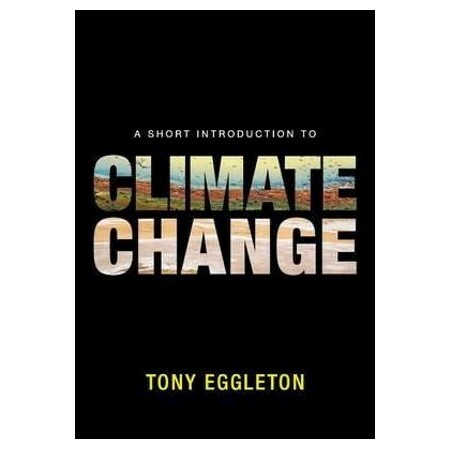 In this book, Tony Eggleton avoids the use of scientific jargon to provide a reader-friendly explanation of the science of climate change. Concise but comprehensive, and richly illustrated with a wealth of full-colour figures and photographs, A Short Introduction to Climate Change is essential reading for anyone who has an interest in climate science and in the future of our planet. Tony Eggleton is an Emeritus Professor of the Australian National University. He graduated with first class Honours in Science from the University of Adelaide, then completed the degree of Doctor of Philosophy at the University of Wisconsin, USA. For his extensive research into mineralogy he was awarded the degree of Doctor of Science by the University of Adelaide in 1999.